THE grass weed, wild oats, is one of the greatest enemies of certain grains such as barley, rye and wheat. Wild oats compete with these crops by taking their water, light and nutrients and their density can double in just a year, causing production losses reaching up to 40 per cent. 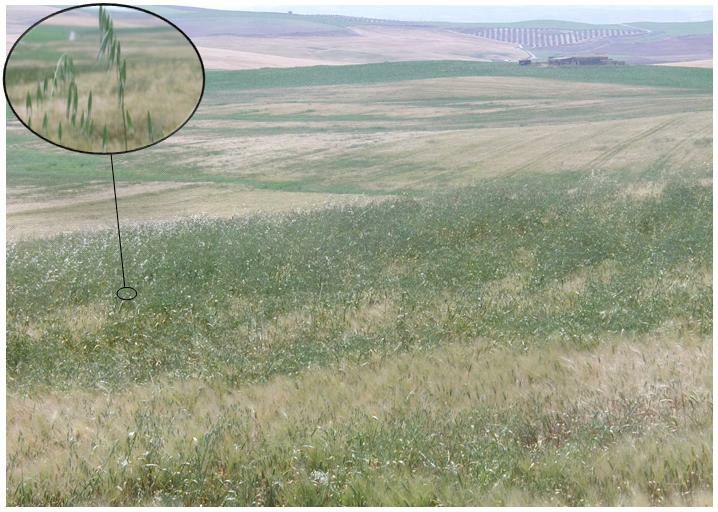 The AGR124 research group, made up of members from the Department of Graphic and Geomatics Engineering at the University of Cordoba in Spain and the Spanish National Research Council’s Institute for Sustainable Agriculture, performed a study that predicts the growth of this weed among wheat crops, with an aim to optimise the use of herbicides. The system is based on what is known as precision agriculture, a concept that emerged using new technology like sensors, drones and GPS navigators, and the idea is based on observing and managing crops in order to apply only the necessary resources at the right time, thus avoiding unnecessary high costs and environmental damage. Specifically, the research used very high spatial resolution multispectral satellite images, able to gather data with spatial details in regions of the electromagnetic spectrum different from those in the range of visible light, meaning it can obtain information that the human eye cannot detect. Along with this technology, the group analysed four different plots of wheat for two seasons. After verifying that there had indeed been an increase in the weeds, as pointed out by the head researcher of the study, Isabel Castillejo, they confirmed that these weeds grew in patches, which means that they are good candidates for the use of weedkillers in specific locations, instead of applying them all over the entire plot. Afterwards, they confirmed that the new wild oats that had sprouted were very nearby and relied on the ones that had grown the first year of crop. “If the new weeds are found near the old ones, we can predict what is going to happen and consider localized treatment that extends slightly beyond the place where the weeds are currently found,” Ms Castillejo said. The key lies in applying herbicide selectively to portions of the plot where, even if the weed cannot be seen, there is a high likelihood that they could appear in the future due to the seed bank left by the older weeds. Normally, these kinds of plant-protection treatments are used indiscriminately all over the plot, which was thought of as a continual treatment in which all the land was treated equally. Now, considering the data shown by the research, the use of weedkillers could be reduced, bringing with it environmental benefits as a result. In some of the cases studied by the group, it could be slightly more expensive to use this kind of system, since the use of adapted machinery and processing all the information currently means an increase in cost when compared to traditional systems. Nevertheless, Ms Castillejo is convinced that the progress of precision agriculture is unstoppable.